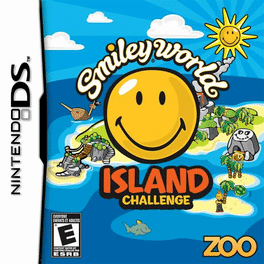 Join Smiley and friends in his first ever video game for an exciting Island adventure. Marooned on a desert island, you and your team must participate in various challenges to overcome the hazards of the land while collecting rewards and treasure. Along the way you'll meet island natives (some friendly, and some not-so-friendly) who may help or hinder you as you progress through the many games of skill, logic, and instinct. Explore and discover! Experience the danger, action, and adventure when you play Island Challenge.